Communicate with your congregation and members of the community with professional graphics and signage from InstantSign. Welcome guests and promote special events with oversized posters and easel signs. Direct traffic in your parking area with professional, curbside signs. Celebrate the seasons of your faith with vivid, full color digital graphics. Whatever your message, InstantSign can help you reinforce your message through professional, attractive signage. Indoors and out, banners draw attention, attracting interest and increasing attendance and participation at your services and events. Display your name and message on all of your buses and shuttles with permanent vinyl graphics or convenient magnetic signs. Guide people through your space with directional signs that reinforce the architectural elements. Easy-to-read signage can help you direct traffic, improve interior wayfinding, control parking and enhance safety. 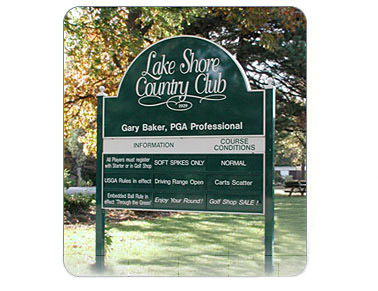 Use monument signs to reinforce your property's quality image. InstantSign can help you bring your site into compliance with ADA signage regulations. Initiate a monthly banner program to increase attendance or program awareness throughout the year. Studies show that people tend to ignore what has become familiar, but a new look may reawaken interest.